Preschoolers learn best by doing. By involving as many of the five senses as possible there is a 90% retention rate of learning. Our Christian Education's Bible Study Classrooms are interest centers designed with a contemporary approach to a traditional Sunday school setting. The environment's primary purpose is to educate and incorporate the preschoolers language, cognitive, social and motor skills into an environment that appeals to the student and provides hands-on learning experiences for practical life applications. These hands-on activites provide gateways for the facilitator to introduce the student to fundamental disciplines of the faith such as worship, stewardship, fellowship, bible memory work and prayer. Each week the students gather with their peers for corporate worship. 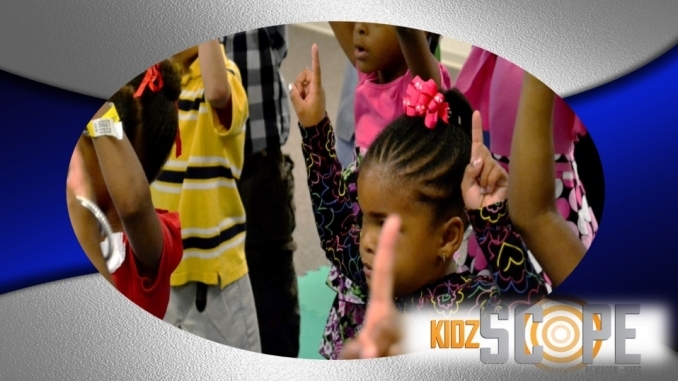 The environment is charged with energetic songs of praise, bible memory work and interactive games to reinforce the lesson's objective. Twice a year the students are introduced to missions through our Boys and Girls Missionary Challenge. Students learn the fundamental meaning of missions and are inspired to - GO, PRAY AND GIVE!